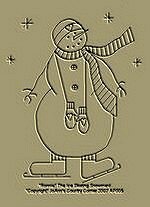 #A049 Primitive Stitchery Pattern "Ronnie" The Ice Skating Snowman! Measures 6 3/4" x 8 1/4"
#A087 Primitive Stitchery Pattern-Prim Pattern "Country Tree!" "Country Tree!" AP046 Primitive Stitchery Pattern measures 4 1/4" x 8". #A089 Primitive Stitchery Pattern, Prim Pattern " Country St. Nick!" "Country St. Nick!" AP044 Primitive Stitchery Country St. Nick Pattern measures 6" x 8 1/4". #A188 Primitive Stitchery Pattern, "Primitive Snowman & Crow Bird Seed!" Christmas Stocking Ornament and Ornie Pattern! Primitive Stitchery Patter, " Primitive Snowman & Crow Bird Seed!" Christmas Stocking Ornament and Ornie Pattern! This pattern comes with complete instructions to stitch and sew this adorable stocking. This pattern can be used for either an ornament or ornie! Measurements are 2" wide, 6 1/4" long. 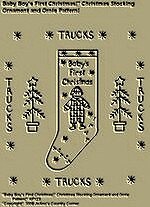 #A189 Primitive Stitchery Pattern, "Baby Boys First Christmas!" Christmas Stocking Ornament and Ornie Pattern! Primitive Stitchery Patter, " Baby Boy's First Christmas!" Christmas Stocking Ornament and Ornie Pattern! This pattern comes with complete instructions to stitch and sew this adorable stocking. This pattern can be used for either an ornament or ornie! Measurements are 2" wide, 6 1/4" long. 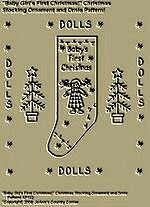 #A190 Primitive Stitchery Pattern, " Baby Girl's First Christmas!" Christmas Stocking Ornament and Ornie Pattern! Primitive Stitchery Patter, "�Baby Girl's First Christmas!" Christmas Stocking Ornament and Ornie Pattern! This pattern comes with complete instructions to stitch and sew this adorable stocking.This pattern can be used for either an ornament or ornie! Measurements are 2" wide, 6 1/4" long. 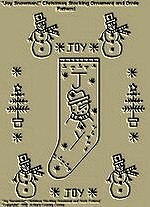 #A191 Primitive Stitchery Pattern, "Joy Snowman!" Christmas Stocking Ornament and Ornie Pattern! Primitive Stitchery Patter, " Joy Snowman!" Christmas Stocking Ornament and Ornie Pattern! This pattern comes with complete instructions to stitch and sew this adorable stocking. This pattern can be used for either an ornament or ornie! Measurements are 2" wide, 6 1/4" long. 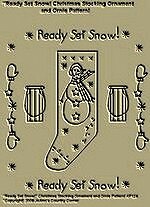 #A192 Primitive Stitchery Pattern, " Ready Set Snow!" Christmas Stocking Ornament and Ornie Pattern! Primitive Stitchery Patter, " Ready Set Snow!" Christmas Stocking Ornament and Ornie Pattern! This pattern comes with complete instructions to stitch and sew this adorable stocking. This pattern can be used for either an ornament or ornie! Measurements are 2" wide, 6 1/4" long. #A193 Primitive Stitchery Pattern, " Primitive Snowman Think Snow!" Christmas Stocking Ornament and Ornie Pattern! 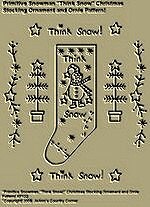 Primitive Stitchery Patter,� Primitive Snowman�"Think Snow!" Christmas Stocking Ornament and Ornie Pattern! This pattern comes with complete instructions to stitch and sew this adorable stocking. This pattern can be used for either an ornament or ornie! Measurements are 2" wide, 6 1/4" long. 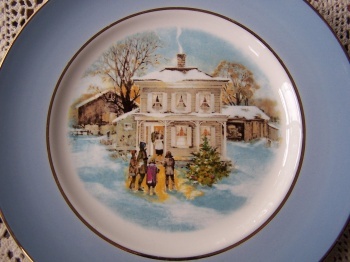 #A242 Vintage Avon 1974 "Country Church" Plate by Enoch Wedgwood! 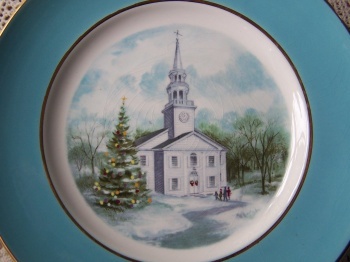 Vintage Avon 1974 Christmas plate titled "Country Church". Has a picture of a church decorated for Christmas. Border of plate is a robin's egg�blue color. Trimmed is gold and inside gold trim. This plate was exclusively made for Avon by Enoch Wedgwood(Tunstall) Ltd. England.�In extremely good�condition with light crazing.Beautiful�plate!�Measures 8 3/4" in diameter. Please click picture to see closer look at item. #A243 Vintage Avon 1975 "Skaters On The Pond!" 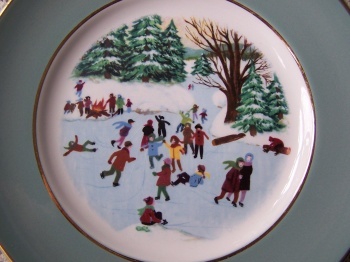 Plate by Enoch Wedgwood! #A244 Vintage Avon 1976 "Bringing Home The Tree!" 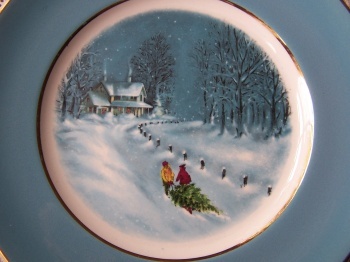 Plate by Enoch Wedgwood! #A245 Vintage Avon 1977 "Carollers In The Snow!" Plate by Enoch Wedgwood! 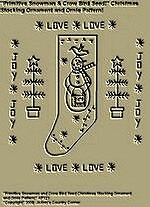 #A260 Primitive Stitchery Pattern " May Christmas Wishes, Snowman Dreams, Hearts full of Joy by Yours!" 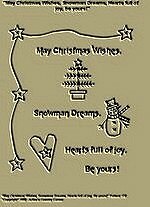 Primitive Stitchery Pattern, "May Christmas Wishes, Snowman Dreams, Hearts full of joy, Be yours! Measures 6 1/4"x 7 1/4"
#A265 Primitive Stitchery Pattern, "Three Little Santas All In A Row!" Primitive Stitchery Pattern, "Three Little Santas All In A Row!� Measurements are 5 1/2"x 9 1/4". 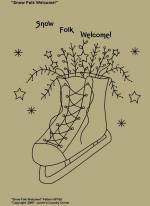 #A275 Primitive Stitchery Pattern, "Snow Folk Welcome!" 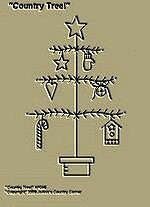 Primitive Stitchery Pattern, "Snow Folk Welcome!" 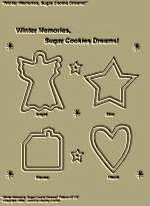 #A276 Primitive Stitchery Pattern, "Winter Memories, Sugar Cookie Dreams!" 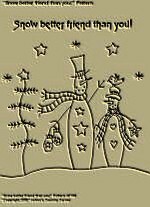 Primitive Stitchery Pattern, "Winter Memories, Sugar Cookie Dreams!" #A278 Primitive Stitchery Pattern, "Snow better friend than you!" 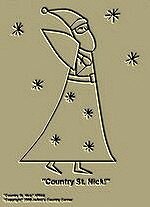 Primitive Stitchery Pattern, "Snow better friend than you!" 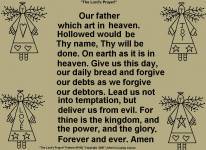 #A279 Primitive Stitchery Pattern, "Lord's Prayer!"